See the sites on two wheels! Bikesharing is a popular way to explore cities across the nation and around the world. With nearly 4,000 bikes and over 480 stations throughout DC, Arlington, Alexandria and Montgomery County, Capital Bikeshare is no exception. The familiar red bikes have become a go-to transportation choice for DC-area residents and visitors alike. Our nation’s capital is the perfect city to see by bike, with so many museums, parks and memorials located within the National Mall, and Capital Bikeshare makes it easy to access them by bike whenever you need one. Access to great multi-use trails, bike lanes and other bicycle amenities make getting around the District without a car. It's a breeze when you ride Capital Bikeshare. 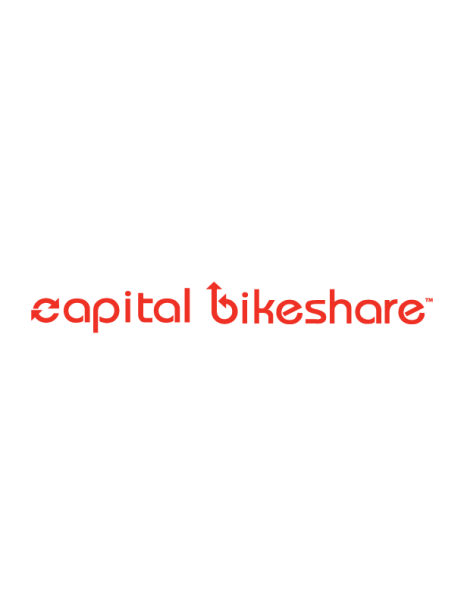 Capital Bikeshare is as simple as Join, Take, Ride and Return! You can purchase a 24-hour ($8) or 3-day ($17) membership at any station, take out a bike, ride to your destination and return the bike to any other station in the system. The first 30 minutes of every trip are free no matter how many trips you take during your membership period. For a map of station locations and info on usage fees, visit our website at www.capitalbikeshare.com. Be sure to download the free Capital Bikeshare app to find the nearest bikeshare stations and get up-to-the-minute information about available bikes and docks. Whether you want to see an original Da Vinci or the Declaration of Independence, monuments or memorials…just grab a bright red bike and go!